A conservative group has issued a report detailing a list of college courses they deem most egregiously advancing far-left agendas, many of which they say are academically lacking. Young America’s Foundation (YAF), a self-described “outreach organization of the Conservative Movement,” has reviewed course offerings at dozens of America’s most prestigious colleges and universities since 1995 “to document the intellectual abuse and flat-out indoctrination” of students. The 2018–2019 edition of the “Comedy and Tragedy” report lists more than 250 courses at more than 50 institutions. On their “Dirty Dozen” list were courses such as “Gender in Gaming” at the University of Illinois, “Eco/Queer/Feminist Art Practices” at the University of Michigan, “Marx for Today” at the University of Minnesota, and “Unsettling Whiteness” at Northwestern University. The “Gender in Gaming” course, for example, “examines the history of gender in video games, focusing on how movements such as #GamerGate, #RaceFail09, internet bullying, doxing, and trolling emerged as the coordinated effort to consolidate and maintain video games and geek culture as the domain of masculinity and whiteness,” according to the university’s description. The university didn’t respond to several questions relating to the real-world usefulness of the course, or what its scientific and academic underpinnings are. The complete YAF list (pdf) includes a plethora of courses delving into similar topics in addition to some particularly off-the-wall, like “Zombies: The Anthropology of the Undead” at Ohio State University. YAF isn’t the only one ridiculing progressive academia. In October 2018, three academics released an essay on their experiment of submitting intentionally absurd or unethical research papers to left-wing journals. In one paper, they rewrote parts of Adolf Hitler’s book “Mein Kampf,” infused it with far-left buzzwords, and made it a major part of a “research paper” that a ranked feminist-oriented journal accepted for publication. It was published in “Gender, Place & Culture: A Journal of Feminist Geography.” The journal honored it as one of 12 leading pieces in feminist geography as a part of its 25th-anniversary celebration. The journal retracted the paper after it was ridiculed online and The Wall Street Journal discovered that it was submitted under a false name—which also prompted the authors to halt their experiment. All in all, the authors produced 20 papers in 10 months that covered disciplines such as gender studies, masculinities studies, queer studies, sexuality studies, psychoanalysis, critical race theory, critical whiteness theory, fat studies, sociology, and educational philosophy. Seven of the papers were accepted for publication and four were already published, they said, and estimated that three to five more papers probably would have been accepted if they hadn’t stopped the experiment. “Although purposely biased and satirical, our papers are indistinguishable from other work in these disciplines. This is a big problem as this scholarship is taught in universities, taken up by activists, and misinforms politicians and journalists about the true nature of our cultural realities,” said one of the authors, Peter Boghossian, an assistant philosophy professor at Portland State University. YAF’s other issue, with leftist bias on campus, has also gained traction. 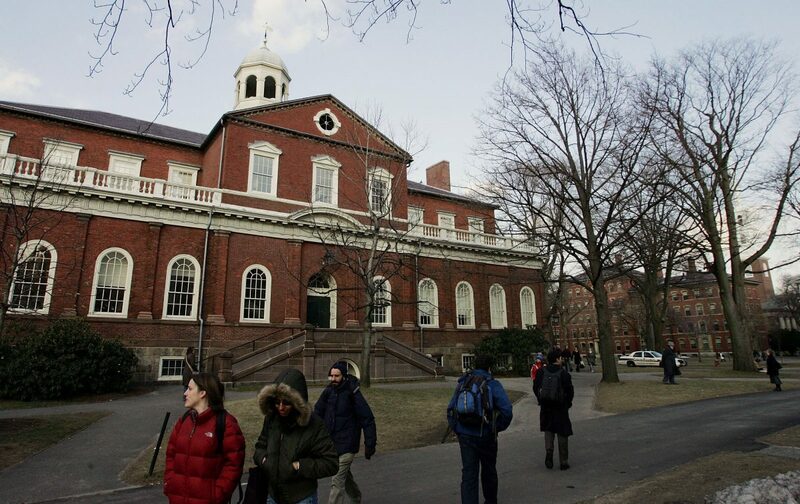 In May 2018, a Harvard University student newspaper called for more diversity in hiring professors after a survey showed how overwhelmingly left-leaning the institution was. The paper surveyed nearly all 1,000 of the professors and part-time lecturers at the Faculty of Arts and Sciences, the largest of Harvard’s seven, and found that more than 83 percent of them identified as liberal or very liberal, while only about 1.5 percent identified as conservative or very conservative. American colleges lean strongly left in general, as only some 12 percent of undergraduate faculty identified as conservative, compared to almost 50 percent who identified as liberal. Another 11 percent identified as “far left” compared to 0.7 percent as “far right,” according to 2013–2014 data by the University of California–Los Angeles Higher Education Research Institute, which polls thousands of lecturers at hundreds of colleges across the nation every three years. 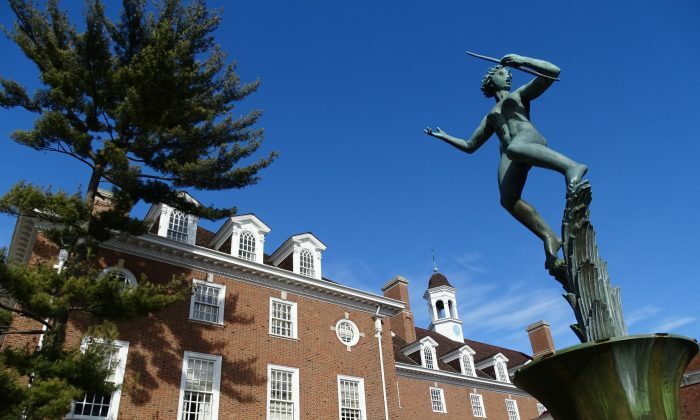 YAF compiled its report by surveying the available online course catalogs for each school in the Big 10 Conference, U.S. News & World Report’s Top 10 Liberal Arts Colleges, Southeastern Conference, Big East Conference, and Ivy League. The University of Michigan, University of Minnesota, Northwestern University, and Ohio State University didn’t respond to requests for comment.